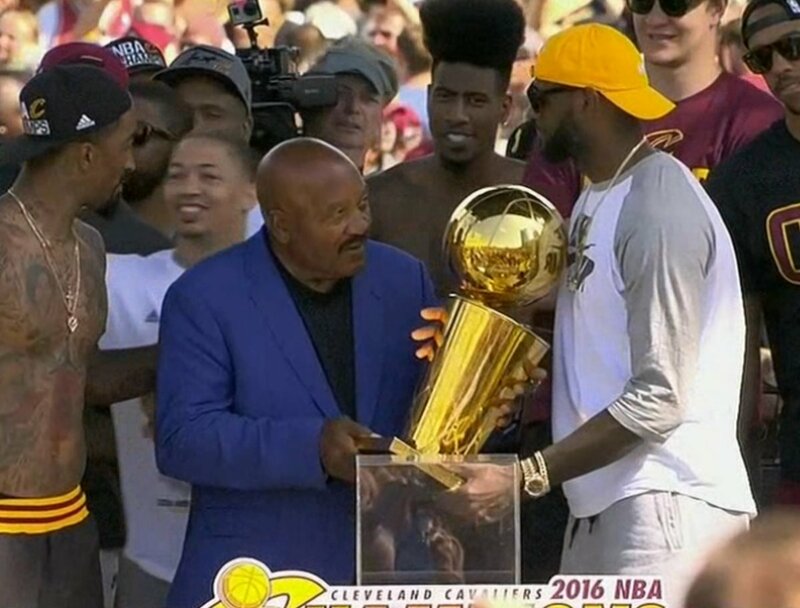 Jim Brown and LeBron James celebrate in downtown Cleveland during the Cleveland Cavaliers 2016 championship victory parade and rally on June 22, 2016 in Cleveland, Ohio. But Jim Brown never got his parade. The team celebrated at the Hotel Sheraton Cleveland on Public Square, but the city never threw a ticker tape celebration, despite Brown’s request. 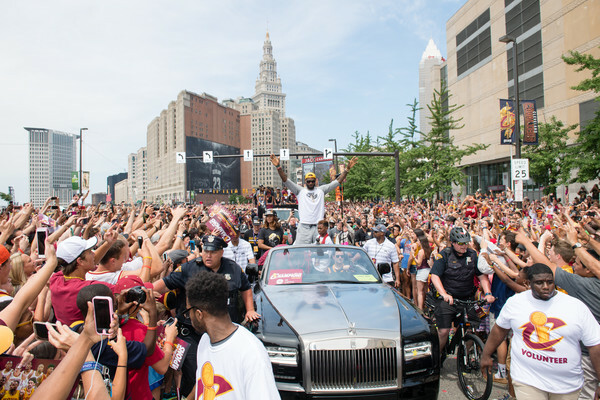 Today, Brown was among the estimated 1.3 million fans who attended Wednesday’s parade for the 2016 NBA Champion Cleveland Cavaliers. For all intents and purposes, it was the parade Brown never received. “I’m happy to take that plane ride and be given the opportunity to share some of the glory with the people that did the work,” Brown said Monday from his home in Los Angeles during a phone interview with the Beacon Journal. LeBron James #23 of the Cleveland Cavaliers celebrates during the Cleveland Cavaliers 2016 championship victory parade and rally on June 22, 2016 in Cleveland, Ohio. Brown is calling on Cavs owner Dan Gilbert to immortalize LeBron with a statue for ending the town’s 52 year title drought. “He’d better give him a statue,” Brown said, chuckling. “That young man put out so much blood, sweat and tears it’s unbelievable. He gave up his life. He could’ve had a heart attack he was playing so hard. So they’d better give him a statue. That’s the least they could do.